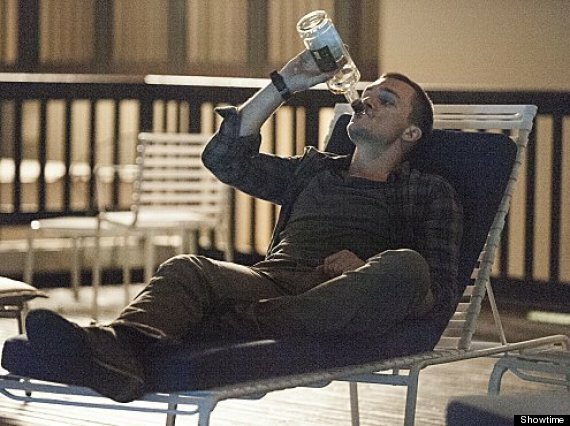 So far it’s difficult to tell if “Homeland” is a show you watch because it’s actually good or because it has the potential to be good. There were some wonderful moments this week and a marked capacity to build and release tension, but there were some dud scenes too and a sort of generalized feeling of directionlessness. So I just don’t know. Islamabad and immediately dives into the Jordan Harris situation. Was he really selling secrets for intel? And is that why he died? She buts heads with Martha Boyd, the US ambassador played by the highly competent Laila Robbins, the station staff, and a man named John Redmond (the wonderful Michael O’Keefe), who’s angry that Carrie snatched the station chief position out from under him. As that story developed, though, and Carries settled into her new job, I couldn’t help but think so what? There’s no a clear sense of what’s at stake. Remember when Carrie was the only one who thought a returning war hero might have been turned during eight years of captivity? That’s some bonafide stakes. This is some pretty pedestrian spy stuff. And the Quinn situation certainly doesn’t help. He spent most of the episode drinking, being mean to his landlord girlfriend, and pouring angry-eyed over YouTube footage of the car ride that killed Sandy Bachman (Corey Stoll), the former and likely treasonous Islamabad station chief. Turns out, though, that Quinn’s developed a nasty case of being Carrie’s new love interest. At least, he’s into her. Enough, apparently, to let Bachman die to protect Carrie. This is a worrisome development. Pursuing a Quinn/Carrie relationship so soon after finding a way out of her thing with Brody indicates “Homeland” may not have learned as much as we wanted it to from that last two season’s mistakes. Why can’t they just let her be a spy for a while, doing spy stuff. That’s why we fell in love with the show the first time around. All that said, the show isn’t out and out bad, and there are some genuinely exceptional moments. An extended scene depicting Carrie losing a tail in the crowded city streets, for example, stands out as a master class in how to use space and point of view to build tension with movement. Two scenes with the mysterious drone strike survivor Aayan felt similarly tense as one CIA agent and then Carrie herself try to persuade him to give up some information. Watch the camera crowd into him and Carrie in that tiny bathroom, and how Carrie moves just half a slip closer to slip a card in a his pocket while the camera stays trained on their faces. Pretty great. “Homeland” needs to spend more time doing things like that – what I’ve apparently taken to calling “spy stuff” and what Jessica Chastain called “tradecraft” in “Zero Dark Thirty” – and a lot less time pushing love interests on Carrie. If it can do that and develop Aayan’s narrative into an arch with substantial stakes, we may be in for a very enjoyable season. The jury is out. For now, it certainly seems worth your time to tune in again next week.